With homes ranging from a multi-million dollar Montecito Estate to a cozy Carpinteria Condo or a Ranch in Santa Ynez, we've listed and sold properties everywhere in the Santa Barbara area. Carpinteria at its best. This artfully appointed home boasts 4 bedrooms and 2 bathrooms. The sunny kitchen looks out to the spacious backyard that is an entertainer's delight. 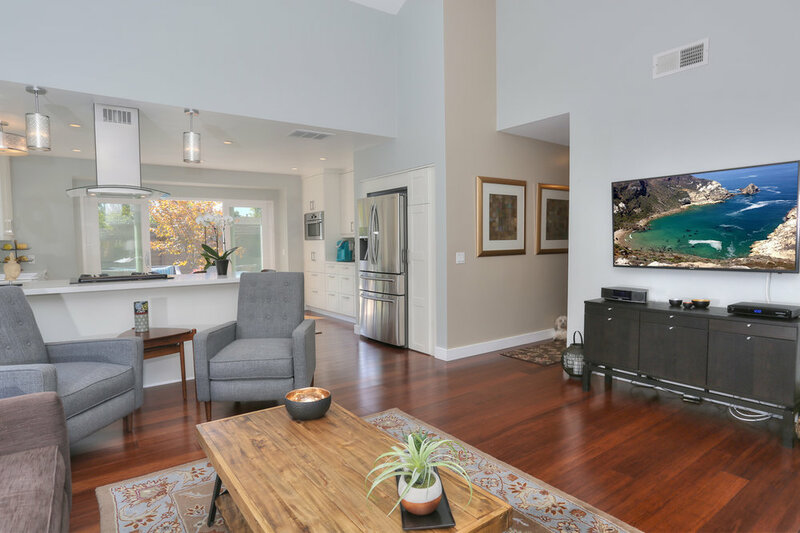 Vaulted ceilings in the living room, bamboo flooring throughout, tankless water heater, water conditioning system, LED lighting and newer appliances are just a few of the many features you will find when you pass through the front door. The oversized 2-car garage and ample driveway that offers plenty of off-street parking is a welcome bonus. The professionally landscaped yards, both front and back, area a welcome sight after a long stroll at the nearby shopping or beaches. 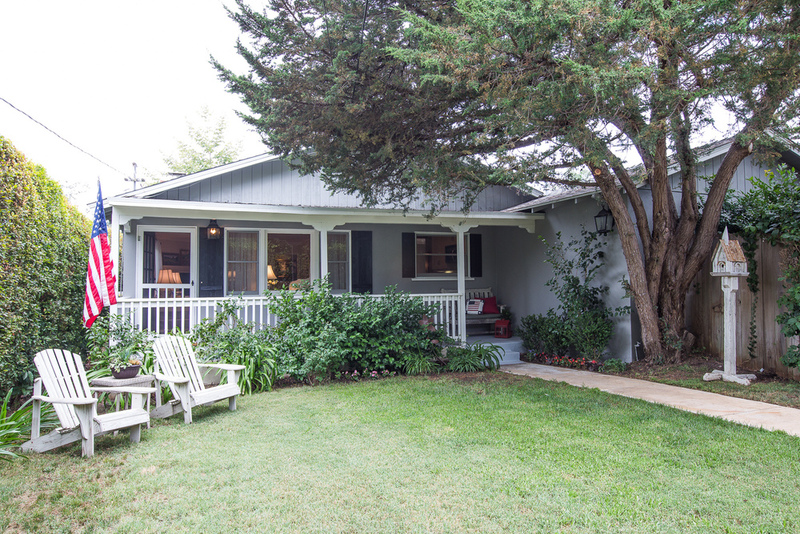 This home is convenient to all the Carpinteria has to offer. 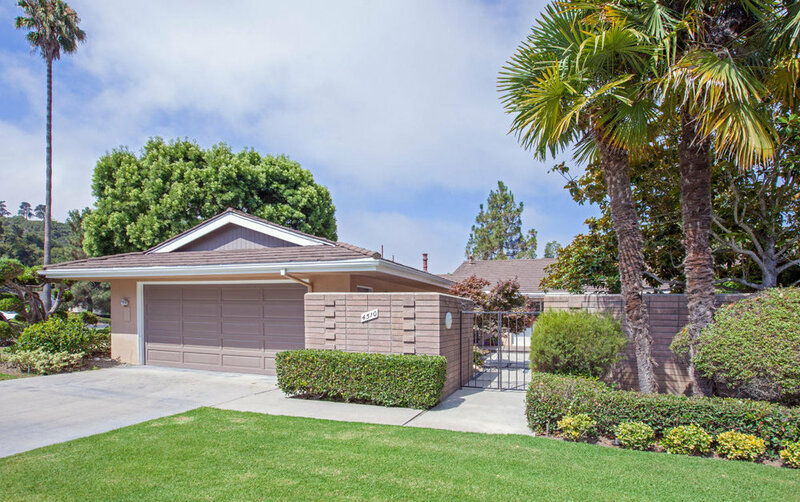 This modern & spacious 2 bed, 2 bath home has been redone from top to bottom. Featuring new stainless-steel appliances & coveted washer/dryer hook ups. New dual-pane windows throughout & a slider leading out to a tranquil balcony. The vaulted ceilings with open beams add to the sense of spaciousness. The chandeliered dining area off the kitchen is great for entertaining and flows seamlessly to the large living room with gas fireplace. The large master bedroom features special sound barrier insulation, a beautifully updated en-suite bathroom. Don’t be fooled by the address. This one of a kind upstairs unit sits toward the back of the complex and is considered one of the best locations in the 34 unit complex. Although it is close to shops and restaurants it is buffered from the activity of State Street. Near buses, schools, doctors and more. The stylish, 2nd-floor mountain view home offers a feeling of privacy while in an urban setting. Spacious and well-appointed in the Sevilla development, this home features an open concept large master suite, a 2nd full bath and a separate office, gourmet kitchen, soaring ceilings, quality cabinetry and wood floors. Two sets of French doors lead to mountain view terraces to peacefully enjoy the outdoors. Elevator access to all levels including the secured underground parking. 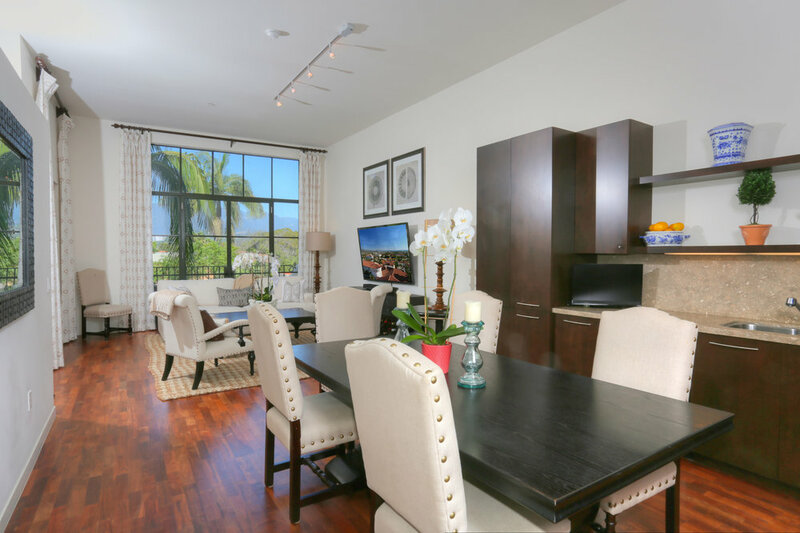 Sevilla is a private luxury enclave that blends modern style with quintessential Santa Barbara living, located in the heart of downtown, with nearby theaters, restaurants, shopping and the beach. The development is home to a highly individualized collection of spacious one-of-a-kind residences. The iconic Santa Barbara character is artfully expressed in arched porticoes, expansive terraces, tiled courtyards and coastal and Riviera views. This spacious one-story home has 2 bedrooms, 2 bathrooms and provides a feeling of serene living. The home is a beautiful end unit with large living room doors that open up to a private enclosed patio for casual enjoyment & entertainment. Where hip meets cool and style meets chic. This contemporary craftsman defines new beach living. The open floor plan welcomes both family and friends to enjoy fabulous parties or cozy moments by the fire. The quality of craftsmanship throughout the home is evident at every turn. No expense was spared. From the mahogany windows and doors to the reclaimed black walnut heated floors and everything in between only the finest of materials were considered. Unobstructed panoramic ocean, island and city views can be enjoyed from both levels of this privately situated Riviera home. Tucked into the hillside behind a cedar fence this home is secluded from the outside world. Wide open floor plan with generous deck space makes this home perfect for entertaining. Overlooking beautiful vineyards, serene pastures and the mountains beyond, this new view estate of approximately 21 acres offers the finest in classical California living. 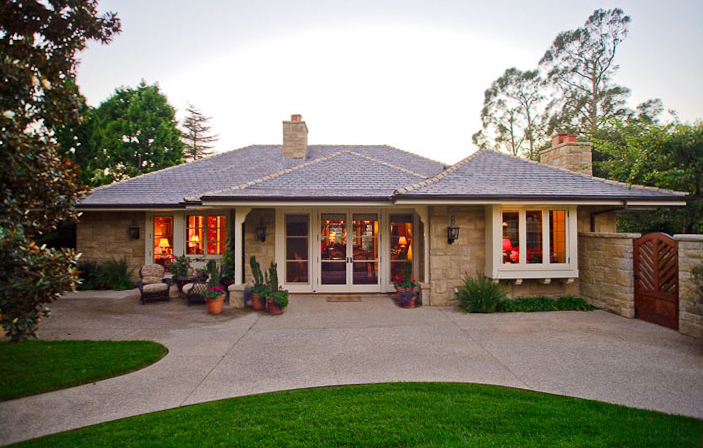 The home combines a graceful blend of historical California architecture and contemporary amenities. 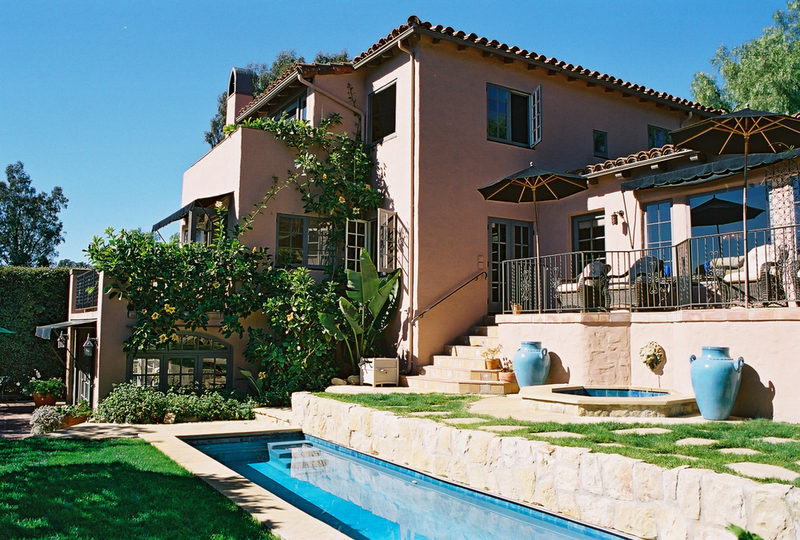 Enjoy all that Montecito has to offer. Sophisticated yet comfortable, this tastefully appointed home sits on almost one and a half park-like acres with many secret gardens just waiting to be explored. Mountain views, expansive lawn, pool, entertaining deck with fireplace and a tennis court are just a few of the amenities awaiting you. The home has been renovated and features a gourmet kitchen and four bedrooms, each with their own bath. Delightfully light and bright with beautiful views throughout make this home a retreat you will never want to leave. entertaining. Montecito Union School District. Convenient to the beach and Coast Village Road. Historic Bay Regency-inspired Arts & Crafts era home located on coveted Upper East Street. This light-filled 5 bedroom home has been impeccably restored to enhance its original 6 fireplaces, tray ceilings, fir floors, grand staircase and leaded glass windows. 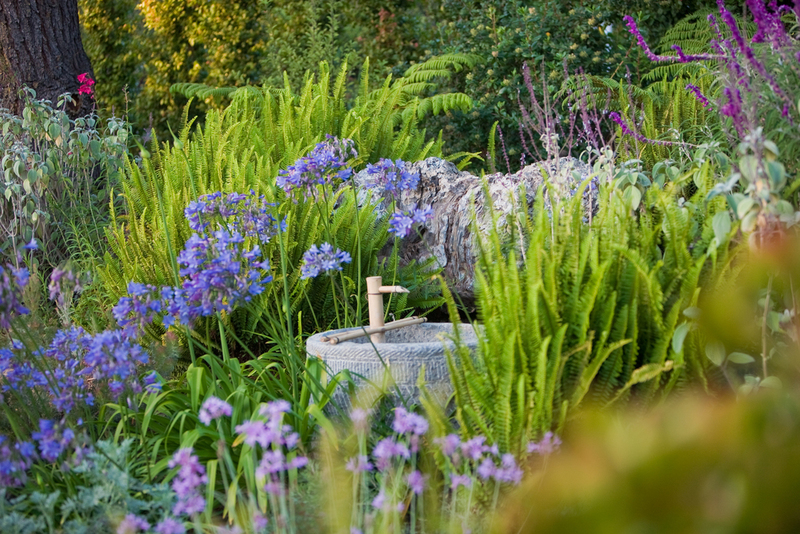 The exterior features bio-dynamic vegetable and flower gardens, orchard, sitting areas and water feature. Classically sophisticated home with spacious living room featuring a beautiful courtyard view, formal dining room with large picture window, master bedroom with en suite and garden patio. Perfectly positioned on .24 acre this well maintained 3 bedroom and 2.5 bath home is made for easy entertaining and cozy retreats. Trust is more than just a catchword at Berkshire Hathaway Home Services California Properties. It is an attitude, a passion ingrained in the nearly 3,000 sales associates in more than 60 offices in Southern California through the Central Coast. It is at the very core of the relationships we build with buyers and sellers every day. It is why thousands of clients have found their perfect home by placing their trust in California Properties. I am committed to introduce my clients to Santa Barbara and all of the different micro-communities that our region has to offer. There is no clock ticking. I am there for the entire process and beyond. My goal is to educate my clients as to the value of the homes in different areas and help them determine the most important value points for them. Living it up in Santa Barbara. We're here every day, living the dream. Let us know if you want to join us.